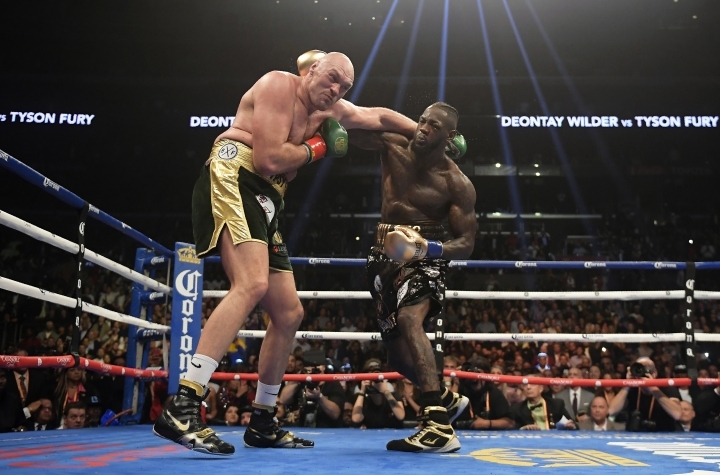 LOS ANGELES — Deontay Wilder and Tyson Fury fought to a split draw Saturday night, with Wilder retaining his WBC heavyweight title after knocking down his British challenger twice. 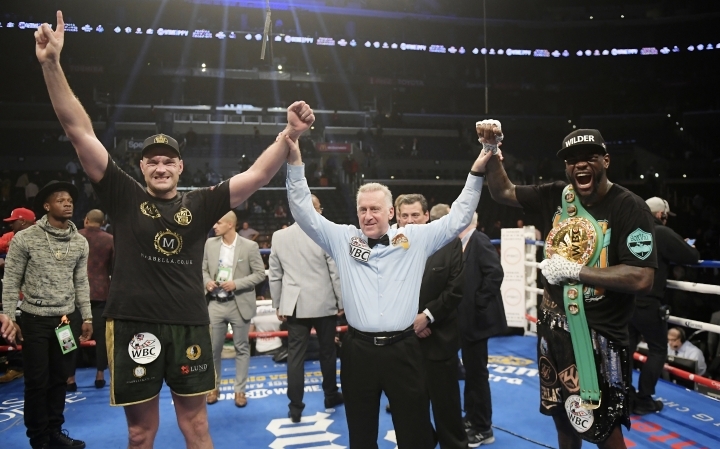 Fury looked finished when Wilder put him flat on his back with two minutes left in the fight, but he rose and made it to the bell. 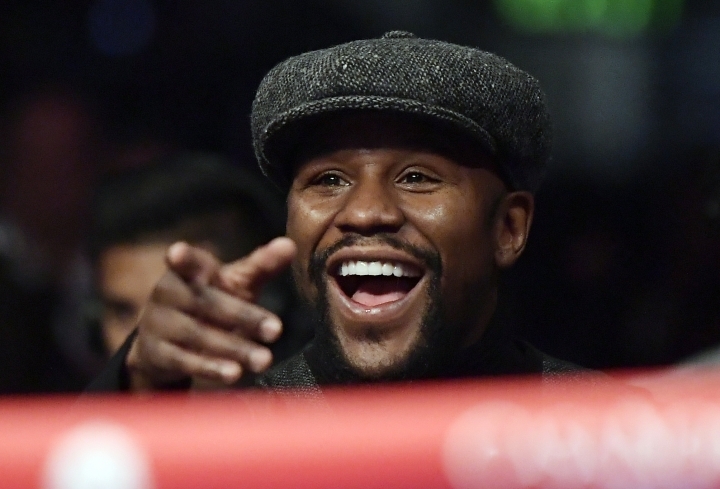 The bout was a rare meeting of two unbeaten heavyweight stars in their apparent primes, with both fighters putting aside caution and the typical squabbles over money or belts to stage one of the best matchups in the glamour division's recent history. And the fighters delivered, each in his unique way. The 6-foot-9 Fury spent nearly every moment of the fight nimbly avoiding Wilder's punches in a masterful display of shifty technique and athletic defense — except for the two moments when the 6-foot-7 Wilder viciously knocked him to the canvas. 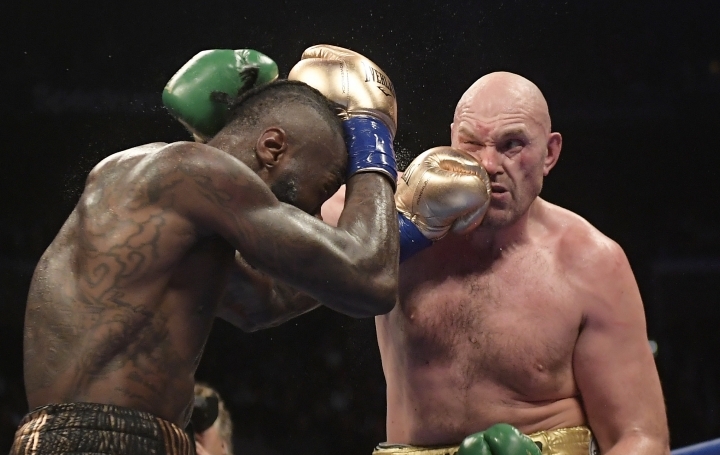 With just two minutes left in the fight, a vicious right-left combination from Wilder left Fury flat on his back with his eyes rolling in his head. 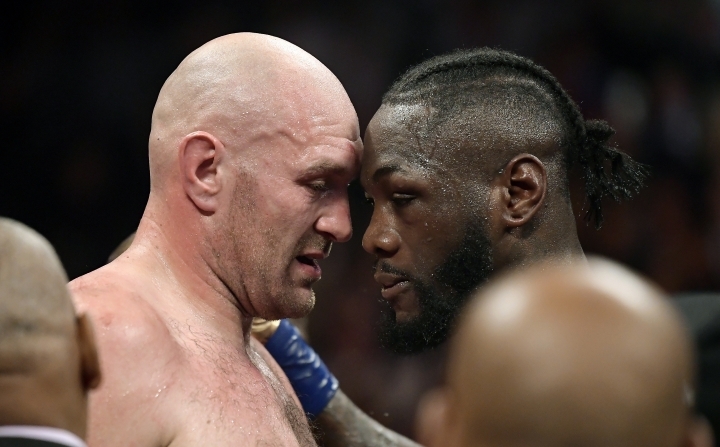 Even though Wilder made a throat-slashing gesture and mouthed "It's over," Fury somehow gathered his senses and beat the count. He steadied himself and went back to work, even landing a few shots of his own before the final bell. 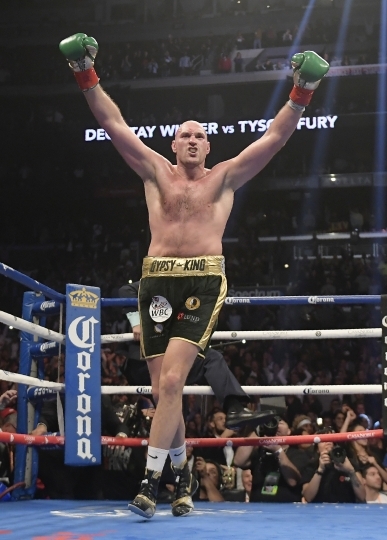 Fury also remained the unofficial lineal champion of the heavyweight division by virtue of his victory over Wladimir Klitschko in November 2015. 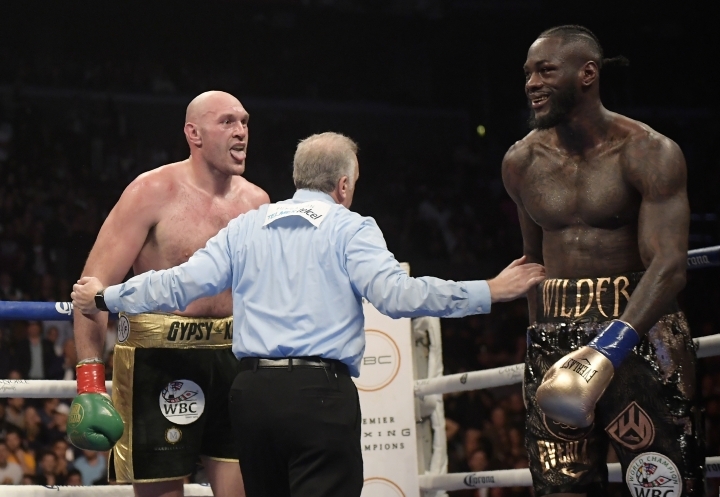 Fury responded admirably to a big step up in competition after a 2½-year ring absence and two warmup bouts, but Wilder got him in just enough trouble to earn a draw. Fury used his twitchy movement and near-constant feints to disrupt the Wilder's rhythm. The champion's trademark wild, looping punches rarely found their mark. 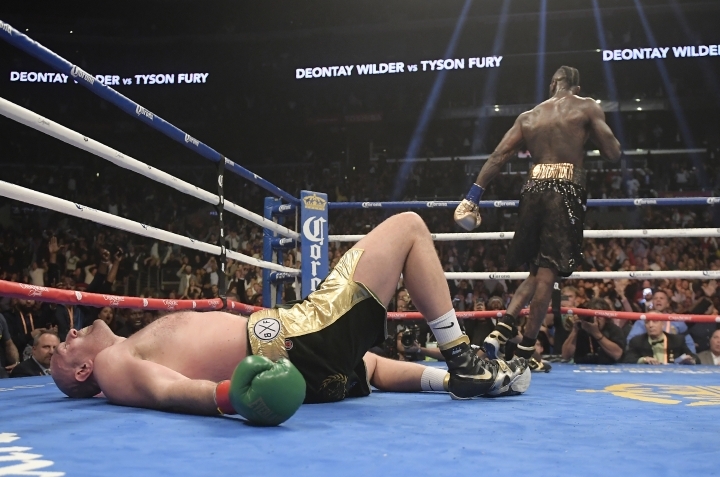 Fury struggled to generate consistent offense until a strong sixth round, likely costing himself early rounds. But the Englishman also made Wilder miss constantly, particularly ducking under Wilder's big right hand with grace. 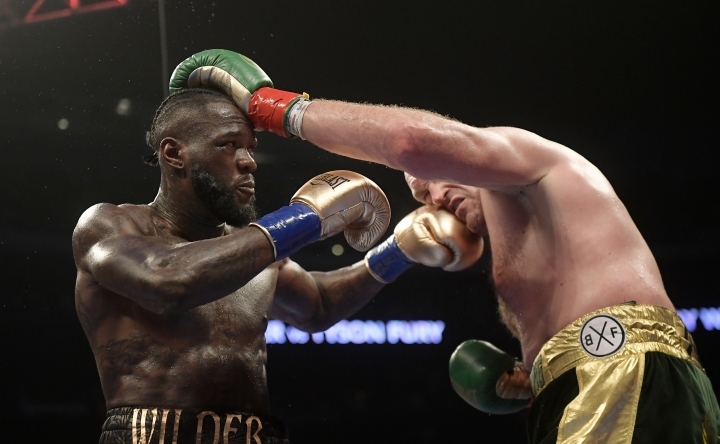 Fury was elusive and creative in the seventh and eighth rounds, and Wilder had few answers. 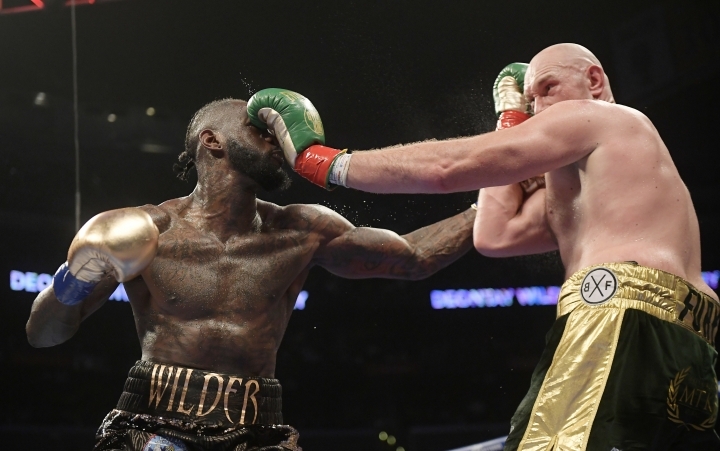 But early in the ninth, Fury went down when he absorbed a shot to the top of the head from Wilder. 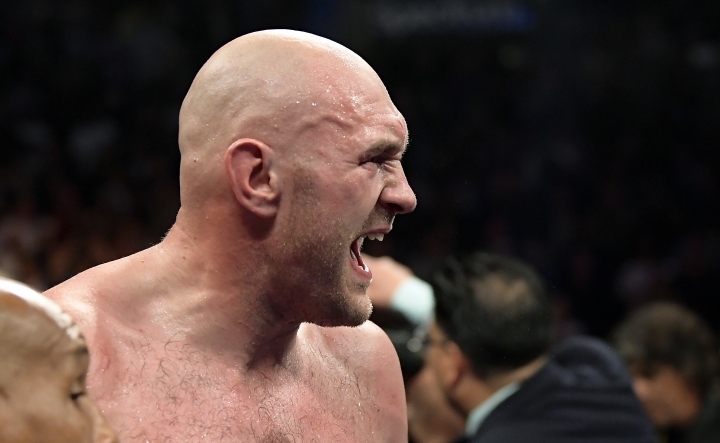 Fury went right back to work in the next two rounds, and a decision appeared to be in reach. That's when Wilder buckled Fury's knees with a right hand and knocked him senseless with a left hand on the way down.